PVC Tape is a 5 mil white vinyl insulation tape which provides excellent adhesion, even when applied during cold or humid weather. It is flexible polyvinyl chloride film, coated with a specially formulated adhesive. PVC tape can be applied indoors and outdoors at temperatures as low as -40 degrees to achieve a strong, permanent bond. Insulators use PVC Tape to create an air-tight seal on PVC fitting covers and to seal the overlap joints of PVC jacketing. White PVC Insulation Tape is highly recommended for cold and chilled piping where a vapor barrier must be maintained to avoid condensation issues. This tape is essential to close and seal fitting covers. It gives the job a professional look. What can I say? It's tape. It's white. 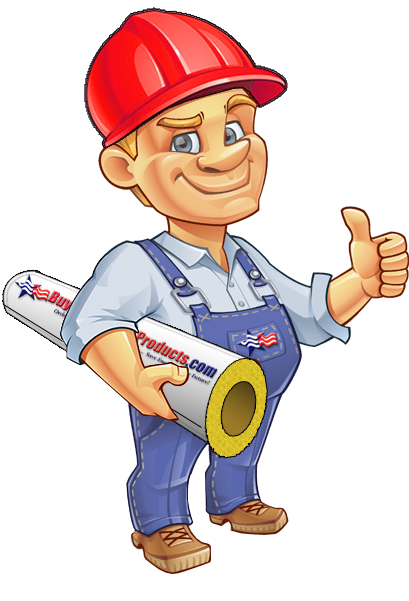 It DOES provide a good finish to your PVC fittings install, and sticks well to both the fitting and your insulation, sealing the joint. I'd recommend you use the wider tape, you will save on tape in the long run. With regards to the company selling it, they ship fast, and their orders are accurate. Excellent! Click the button below to add the PVC Tape (Z Tape) to your wish list.